Samsung has launched recently, Galaxy S8. S8 has an amazing camera quality HD+ and beautiful display. Next year, Samsung is bringing its new flagship, Galaxy S9 in the market with its diligent features. The rear and front-facing camera in Galaxy S8 has an aperture ratio of f / 1.7, which is a very cool figure. This is one of the key advantages of the camera. Main Camera - 12 megapixel with Dual Pixel Technology. The imposing camera of Galaxy S9 will attract you. The marvelous camera of the S9 will be having16MP+16MP primary Dual camera with the 8MP front camera, auto-focus, and Dual flash. Pixel Dual - a technology an active phase-type autofocus. Each physical pixel matrix cameras equipped smartphone separate sensor for focusing. This means that the camera has 12 million sensors for phase-type focusing. This allows almost instant focus. The more open the camera aperture (the smaller the number following the «f», i.e. at f / 1.7 aperture is opened more than at f / 2.0), the lower under all conditions being equal, the DOF (depth of field). This is expressed in the possibility to blur the background that highlights your subject. Galaxy S8 has a powerful processor, Snapdragon 835 processor for the US and China, and 9 ExynosOcta 8895 for Europe and Russia. What Snapdragon, Exynos that are 8 kernels, where some more powerful core 4, and the other 4 more economical. This is done in order to work on simple tasks the unit was more economical. "Russian» Exynos 9 Octa 8895 have a clock frequency of 2.3 GHz for high power cores and 1.7 GHz for economical nuclei. There is an integrated graphics processor ARM Mali-G71. Snapdragon 835 has an integrated Adreno 540 graphics processor. Processors (as Snapdragon 835 and Exynos 8895 Octa 9) are produced on a 10-nanometer process technology. CPU speed raised by 11% in comparison with the leader of the last generation. A graphics accelerator accelerated by 23%. 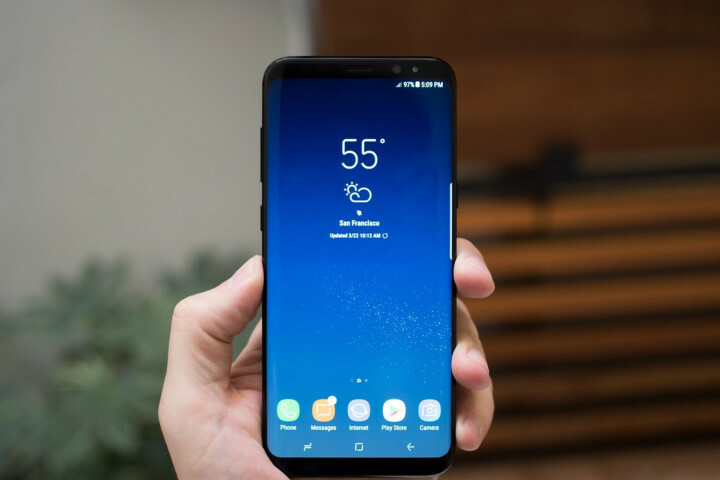 In the case of Samsung Galaxy S9, it is equipped with the powerful processor, Qualcomm Snapdragon 845 and Exynos 8895 with ARM Cortex-A72, and M1. This would not only help you to run the phone for long hours with rapid speed but also minimize the heat, i.e., it won’t get warm too early. CPU speed will be risen up by 14% in comparison to S8. RAM in the new generation, i.e. in Galaxy S8 will be the same- 4 GB. It is noteworthy that China Galaxy S8 will get 6 GB of RAM. In contrast, Galaxy S9 would attain a RAM up to 6GB with an internal memory of 128GB which is expandable via microSD card. Plus there is the possibility to use a micro SD card of up to 258 GB. You may remember Microsoft Display Dock. This dock was allotted for smartphones Microsoft Lumia 950 and Lumia 950 XL. It was necessary to connect a smartphone to the dock, and the dock to the monitor, keyboard, and mouse. Operating System Windows Mobile had 10 Continuum regimes for turning a smartphone into a desktop PC. Well, as if in a desktop PC. Because of this "as if" model failed. The idea is good, but full-fledged windows of such manipulations do not get it. Samsung has attempted an experiment of DeX in Galaxy S8, once company gets the positive feedback from people, it will cast this feature in Galaxy S9 as well.